We decided to stay at the Kilbrannan Guest House based on reading other fantastic reviews. Only stayed for a couple of nights but wished we had been able to have stayed a lot longer, we didn't want to go home! Both Julie & Gary are lovely owners, they take pride in what they do, make you feel very welcome in their home and always went above and beyond expectations. The whole accommodation is well maintained to a very high standard and very clean, everything plus more in the room including kettle, teas, coffees, hot chocolate, sugar and milk, small fridge, bowl of fresh fruit, shower gel, shampoo, body lotion, fresh towels and flannels each day. Julie's fresh homemade lemon muffins on arrival were absolutely delicious! The choices for breakfast are endless from cereal, Julie's homemade muesli, fresh fruit, toast and preserves, teas coffee, juices to Gary's amazing cooked breakfasts anything you could possibly want (even if it's not on the menu) is freshly cooked to order exactly how you like in very quick time using locally sourced ingredients, can't fault anything at all! The room is cleaned and tidied, towels changed, fruit, milk, teas and coffees topped up each day whilst you are out. 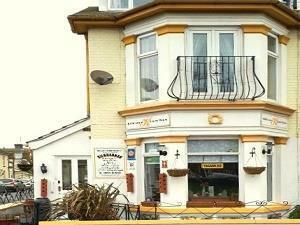 We cannot fault this place whatsoever, brilliant stay in a great location, only a 5 minute walk to the seafront and town. 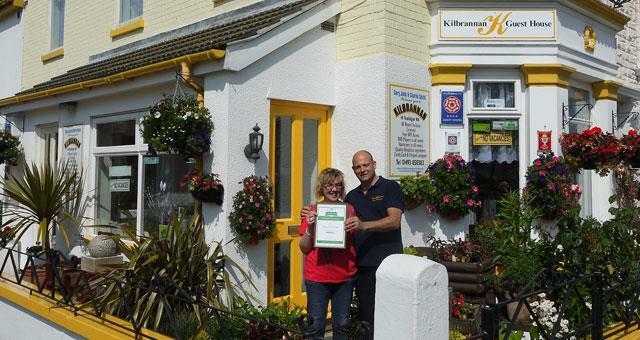 If you're looking for a Guest House with friendly, accommodating hosts then book here, we definitely won't be staying anywhere else in Great Yarmouth from now on! We are already looking forward to booking in again next year.